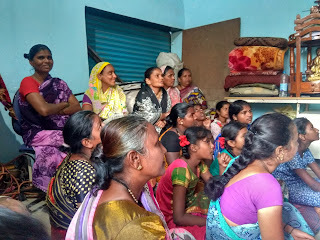 28-November-2018, Koregaon Park (Pune): The Don Bosco Development Society (DBDS) Pune, organized a legal awareness training programme for the women residing in Rajiv Gandhi Nagar slum in Pune. 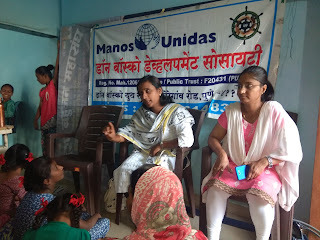 21 women participated in this event which was held under the aegis of ‘Women Empowerment Project’ supported by Manos Unidas, Spain. 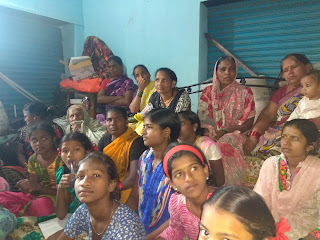 The objective of this programme was to create legal awareness in women about their rights and strengthen community solidarity and support; which was held in the afternoon as per the convenience of the participants in their locality. 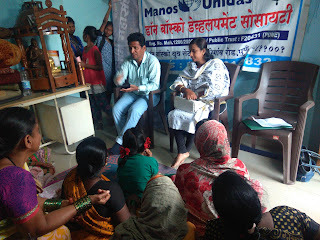 Advocate Yasmeem Shaikh was the resource person for this programme. 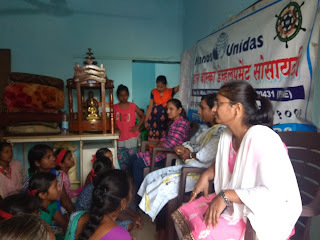 She explained various clauses of Indian laws related to women’s rights, gender equality, domestic violence, divorce and general rights of women as an individual. Sections of IPC - 302, 420,498(a) were discussed in detail. She also explained the newly amended laws also. The resource person also encouraged women to demand justice, gender equality and ready to fight against male dominated society. Some of the participants shared their domestic problems and resource person suggested legal remedy of their problems. Participants liked training session and they expressed their need for more such training sessions. Program ended with the vote of thanks by Ms. Nilima Chandhere (DBDS – Staff).